A heavy weight sweeper that will wear out 3 palmyra garage sweepers. Used for sweeping up heavy debris. The Stanford Flex is made on a hardwood lacquered block and filled with a coarse brown plastic filament. Recommended use for either wet or dry sweeping conditions on concrete or asphalt floors. The plastic will not soften when its exposed to any water, oils or grease. 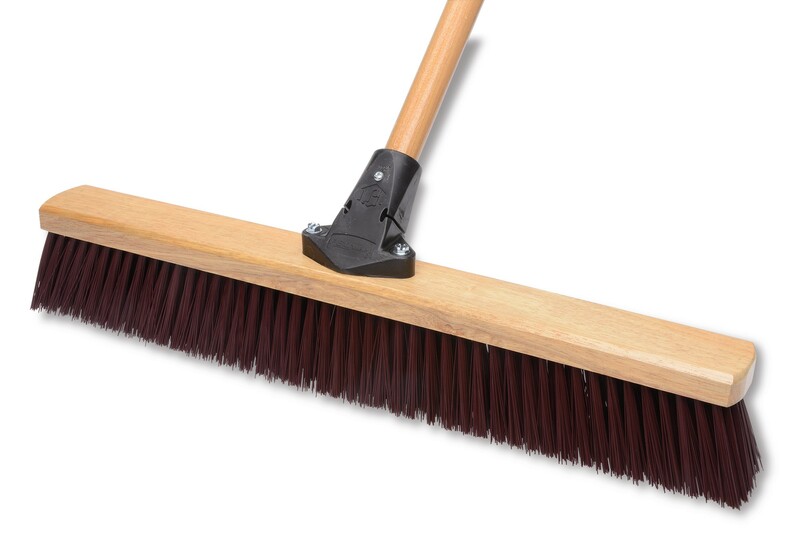 This is the same broom head as the 550-EX sweeper Item 03012 and 03013, except on a wood block and requires the specialty flex handle. The flex handle is a patent pending product, allowing the user some flex when applying pressure to the broom. 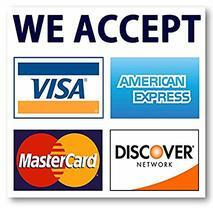 - Flex handle is not included in the price of the Stanford broom head. 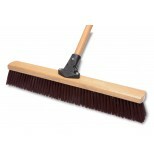 - This broom requires the use of the flex handle Item: 09017 only and can not be used with any standard broom handles. Stanford Flex Broom Head Only.